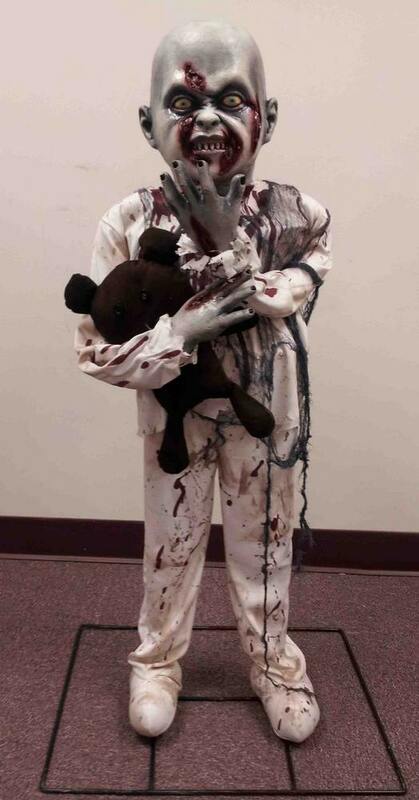 Life-size little zombie boy standing prop that holds a teddy bear in his posable arms. Awesome rotting flesh detail on face. Metal rods keep this zombie standing firmly atop the base. Heads, hands, and feet are plastic. Measures 36'' tall. This will go great with my graveyard scene this year. Great prop, fast delivery.